A majority of American voters say Donald Trump is not “fit to serve as president,” according to a Quinnipiac University poll released Wednesday, with 51 percent of respondents saying they are embarrassed to have Trump serve as president. 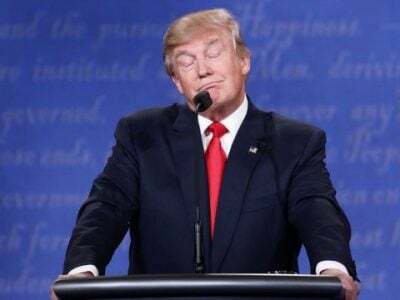 The poll reports that 59 percent say Trump is not honest, 60 percent say he does not have good leadership skills and 61 percent say he does not share their values. Notably, voters say — 69 percent to 26 percent — that Trump should stop tweeting.